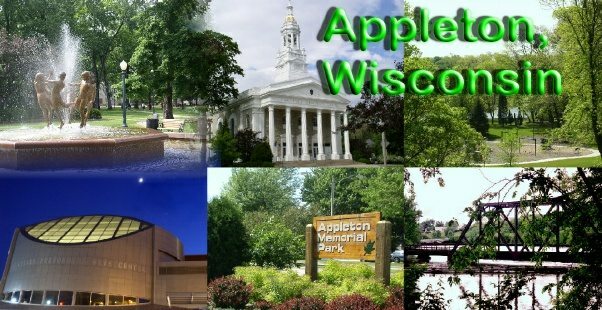 Appleton, Wisconsin has been rated as one of America’s safest communities and best places to live. It’s a town of over 70,000 people in the larger Fox Valley region with around 200,000 people nearby. Small enough to be always convenient and to feel like home, but big enough to offer remarkable culture, education, shopping malls, sports, and more. This is the Appleton Portal, where I offer links to some resources I and other have prepared to welcome you to Appleton and the Fox Valley. Start with my Introduction to Appleton, WI.